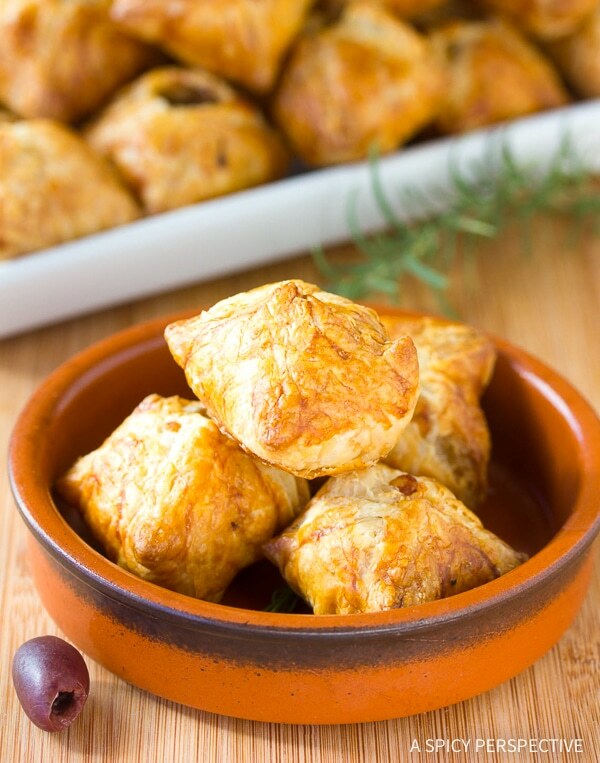 Rich flaky Bacon Kalamata Cheese Puffs, a fabulous all-occasion party snack! Watch out mouth, here comes a burst of flavors and textures you will fall in love with. These little babies pack a delightful surprise inside! Bacon Kalamata Cheese Puffs are an intriguing appetizer with an uncanny ability to vanish before your very eyes. 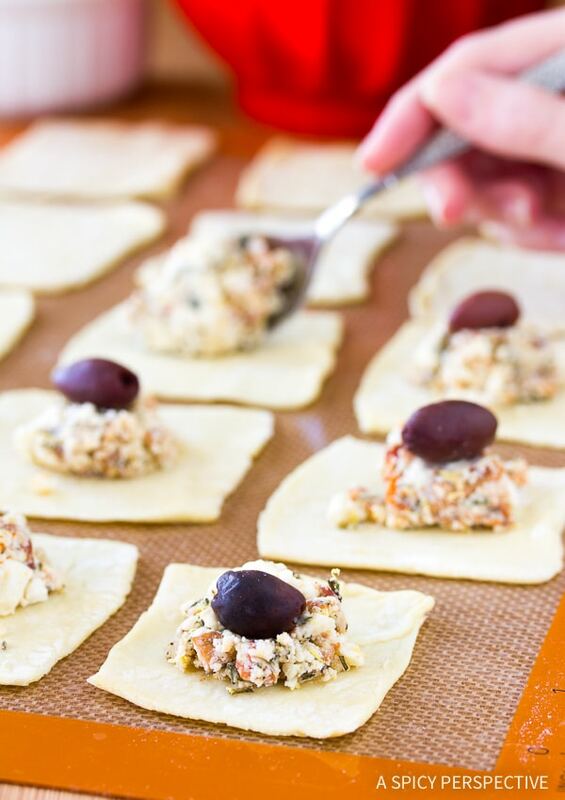 Our Bacon Kalamata Cheese Puffs consist of light flaky layers of puff pastry filled with savory bacon, fresh rosemary, feta, ricotta cheese, shallots, and a zesty Kalamata olive. Honestly, who doesn’t love puff pastry? You could wrap just about anything in this buttery crispy dough and it comes out with a winner. I could say the same about bacon, but you get the picture. Bacon Kalamata Cheese Puffs are a delicious combination of flavors. 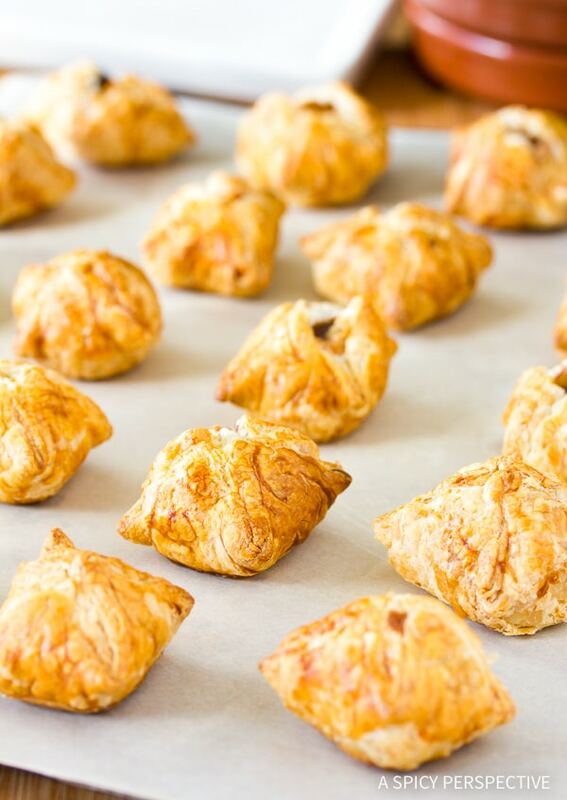 These Bacon Kalamata Cheese Puffs are an upscale version of a much simpler old favorite olive stuffed cheese puff recipe. 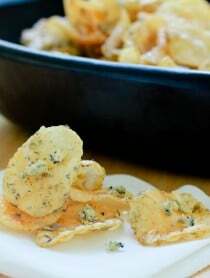 They are versatile enough to serve as an elegant hors d’oeuvre or a game day snack. Whether you make your own puff pastry from scratch, or use the prepared frozen kind, Bacon Kalamata Cheese Puffs are worth the effort. The pastry is very forgiving and can be contorted into many interesting shapes. 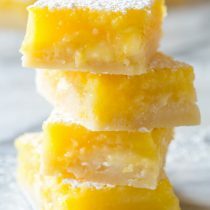 Cut the pastry into squares and pinch them into little pouches to hold the goodies. Prepare your puff pastry dough first, so it can be chilling if you are making it from scratch, or thawing if using frozen. 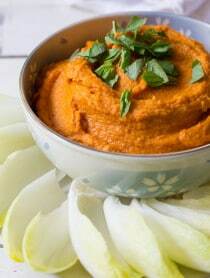 Choose small pitted Kalamata olives for this recipe. Drain off the liquid and allow them to dry while assembling the filling. Don’t worry if you have to do a bit of stretching to encase the mixture and olive. You could even roll each pastry square a little more to make sure you get good seal on each parcel. An egg wash before baking will give the pastry a handsome golden-glow. Once bakesd, Bacon Kalamata Cheese Puffs will reach that crispy on the outside, tender on the inside perfection! Bacon Kalamata Cheese Puffs Recipe - This fun and easy appetizer is a marvelous make-ahead for parties! Filled with cheesy goodness, bacon, and olives...who could resist? Preheat oven to 400 degrees F, and line 2 or more baking sheets with parchment paper. 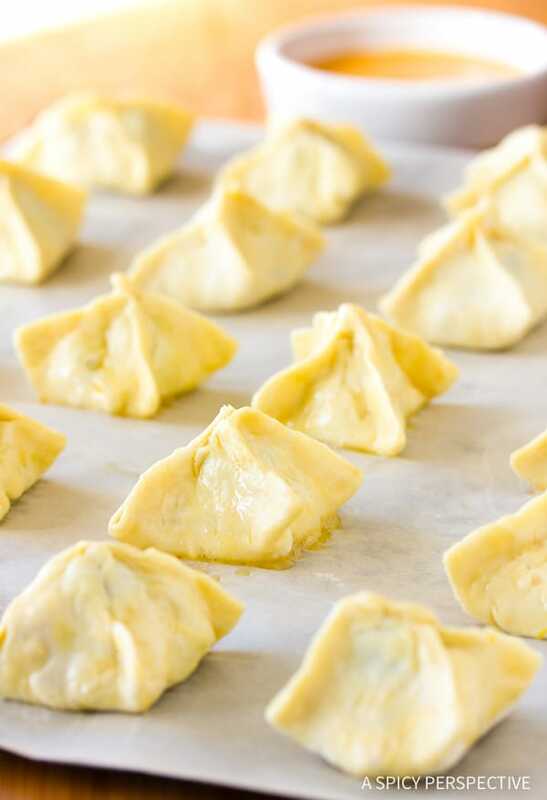 Roll the puff pastry sheets into 10x10-inch rectangles. Then refrigerate to keep cold. Chop the bacon into small pieces. Drain the olives, and pat dry with a paper towel. In a small sauté pan, brown the bacon pieces over medium heat until crispy. Pour off the grease and place the bacon on paper towels to drain. In a teaspoon of the bacon fat, sauté the shallot and rosemary over medium low until wilted and flavors are released, 2 minutes. Mix the cooked bacon, shallots, rosemary, feta, ricotta, lemon zest, black pepper, and red pepper together in a small bowl to create filling. Cut pastry into 2-inch squares, roll out a little more if needed. Place 1 teaspoon of filling in the middle of each pastry square and top with 1 olive. Moisten the edges of pastry square with water, pull together corners, pinching the edges together. Repeat until all puffs are assembled and sealed. 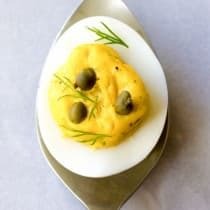 Create egg wash by whisking 1 egg with 1 tablespoon of water. Brush the egg wash over the Bacon Kalamata Cheese Puffs. Bake for 30 minutes, until very golden. 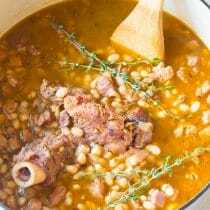 Cool slightly and serve warm. 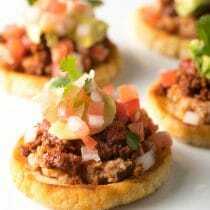 Want to try these – what makes them a “make-ahead” appetizer? Forgot to leave a rating with my previous post about making these with puff pastry cups. Don’t know why the rating won’t allow me to give it a full five stars. I clicked on the fifth star, but it’s only showing a 4-1/2 stars. But this recipe is definitely a 5-star winner! I got a bit lazy and made this recipe using puff pastry cups instead of puff pastry sheets. Turned out beautifully, with the added benefit of being able to see the olive on the top. Was concerned that the filling would dry out as it wasn’t fully encased in puff pastry, but that wasn’t the case. I often prefer what I call “hors d’oeuvres dinners,” to a traditional meal with an entree and sides. 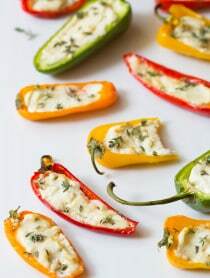 I served these with your roasted shrimp salad and a nice white wine and they were a hit!